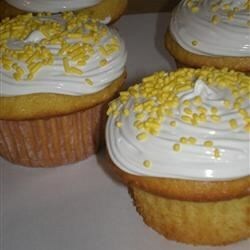 "This is an old family favorite because it is not as sweet tasting as other frostings and is very fluffy." In the top of a double boiler, combine all ingredients but the vanilla. Beat 1 minute. Cook over boiling water beating constantly for 7 minutes or until the icing makes firm peaks. Remove from the heat and add the vanilla. Beat until able to spread. NOTE: You can add coloring with the ingredients. You can also use another flavoring in place of the vanilla. I love this frosting! I've used it for years, and it never fails to be a favorite among kids and adults, as well as a wonderful decoration on any cake or cupcake. Delicious! I used 2 tsp light corn syrup since I didn't have the cream of tartar and that worked well.